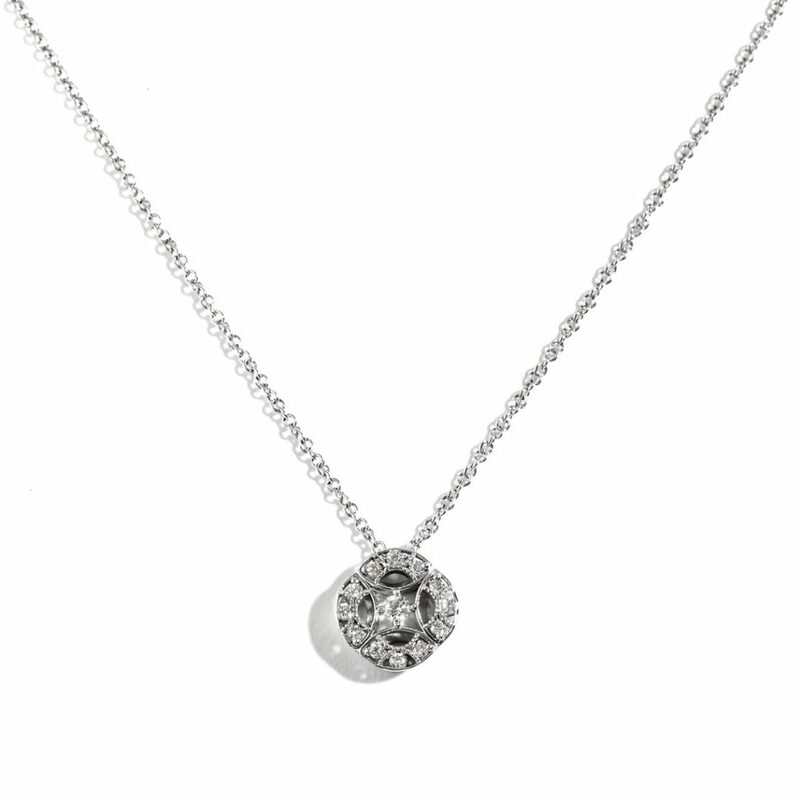 This 18k white gold Sutra necklace is set with diamonds totaling 1.92ct. 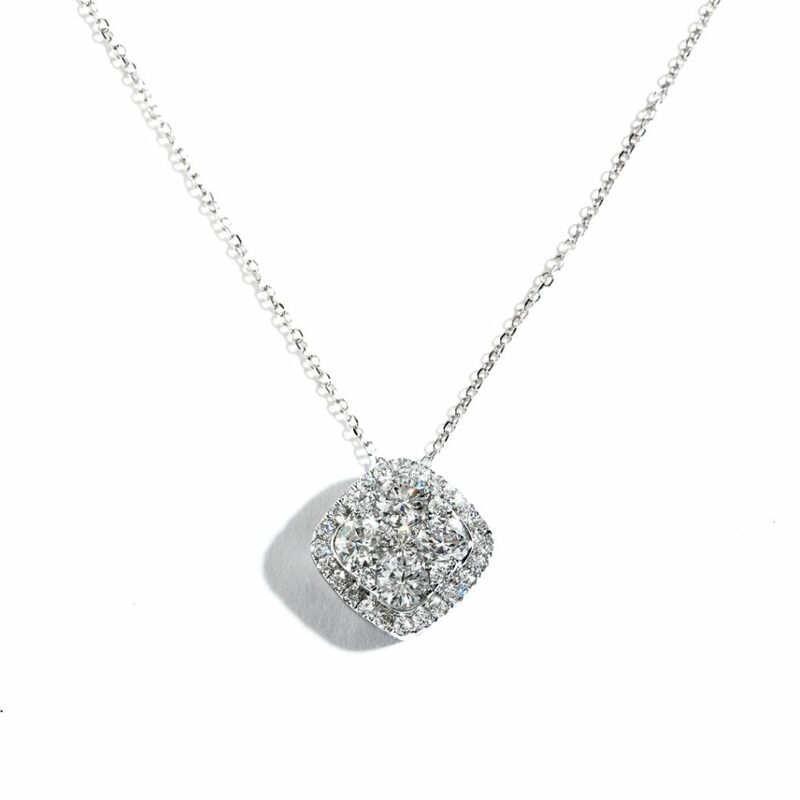 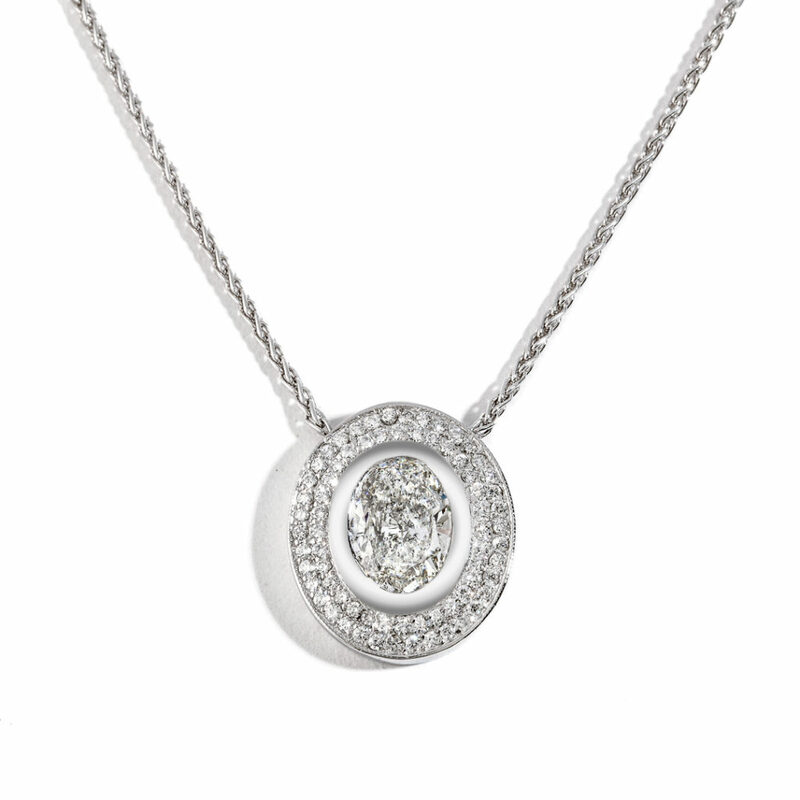 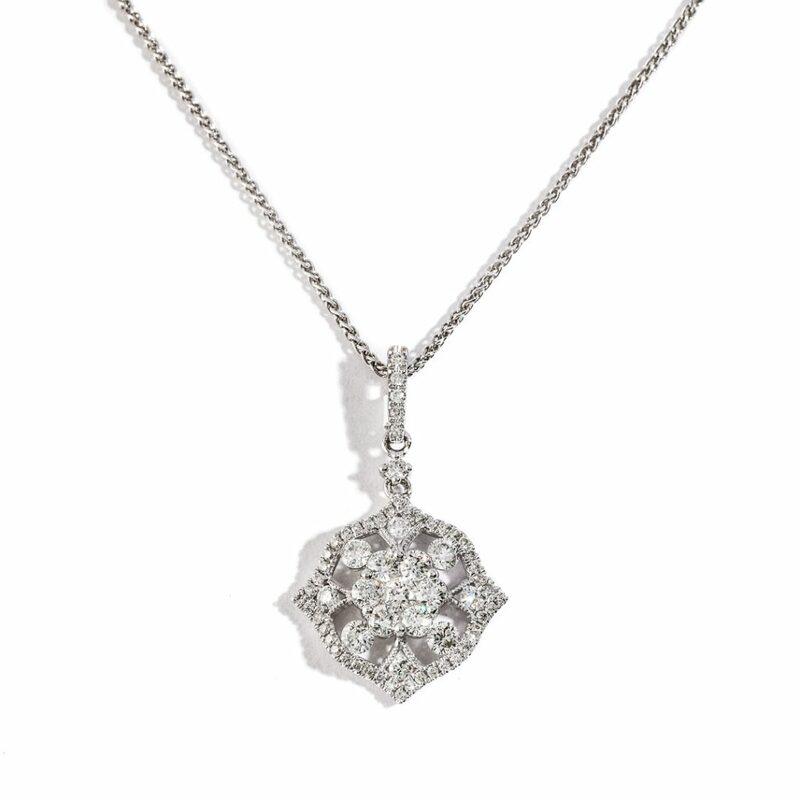 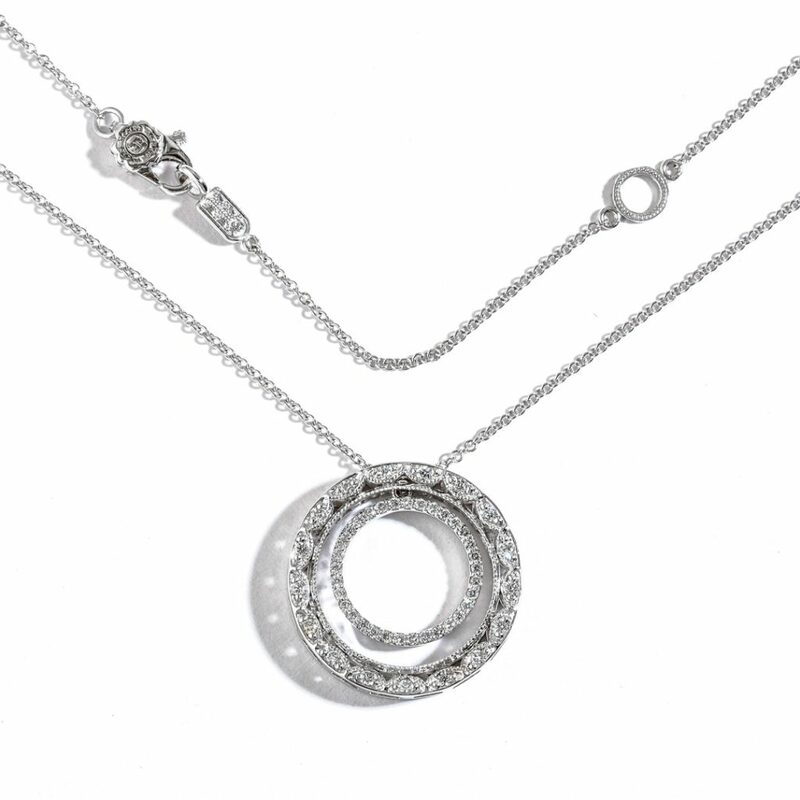 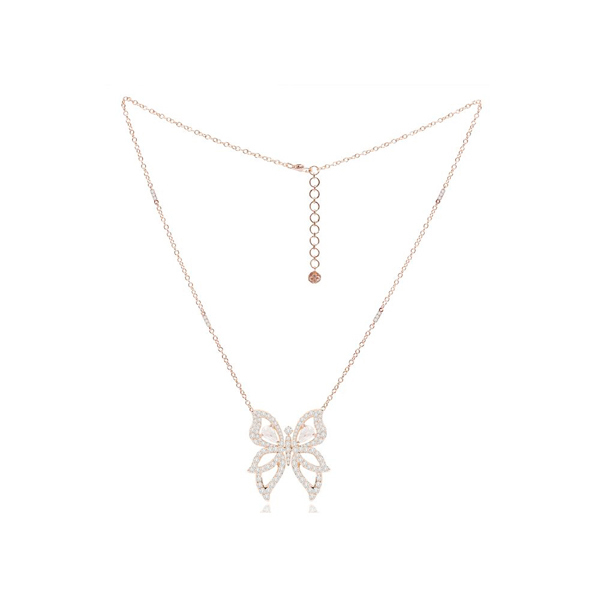 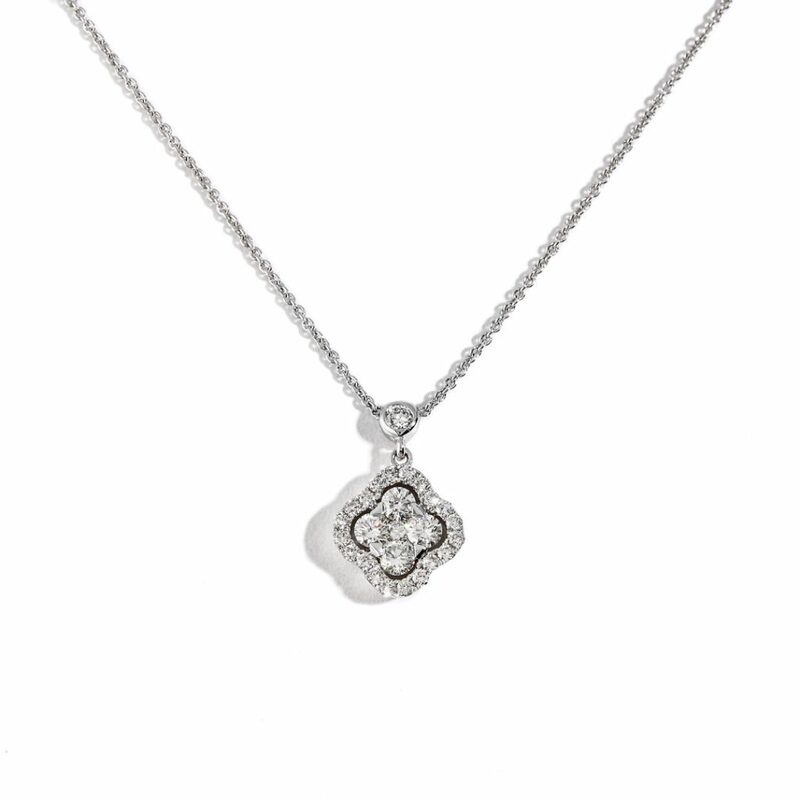 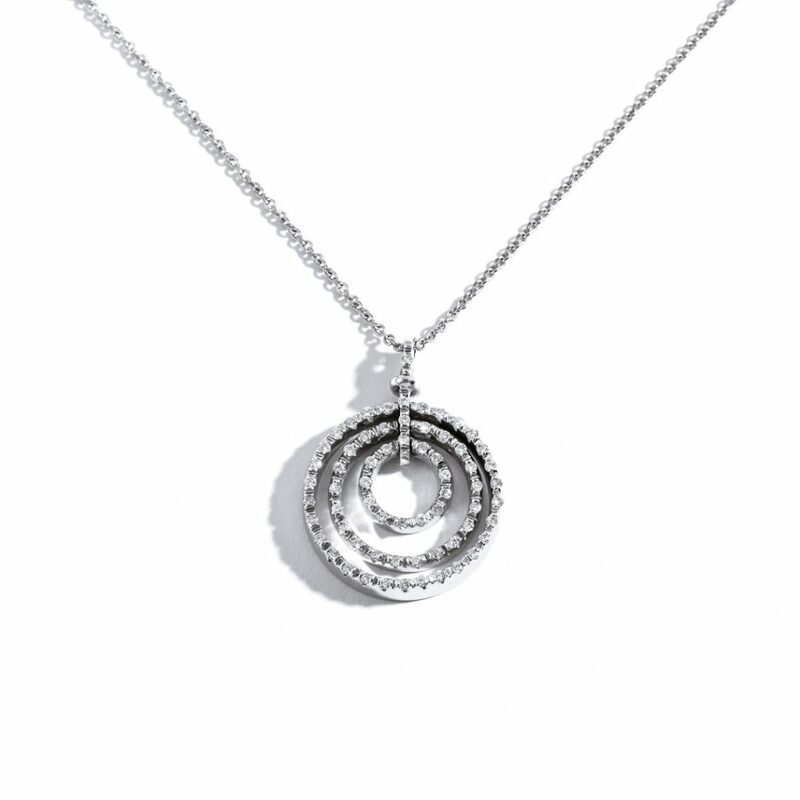 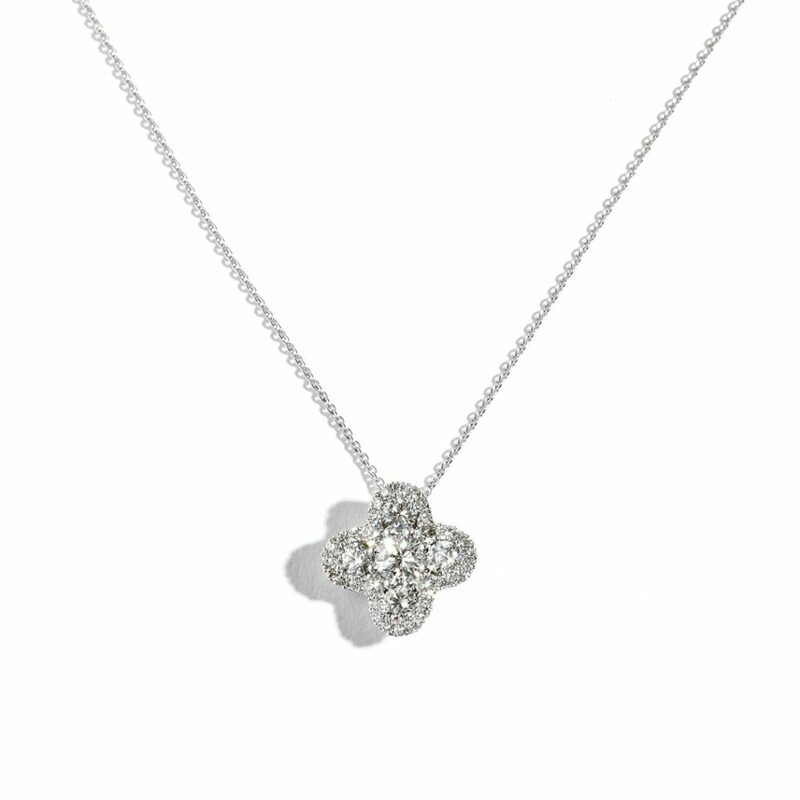 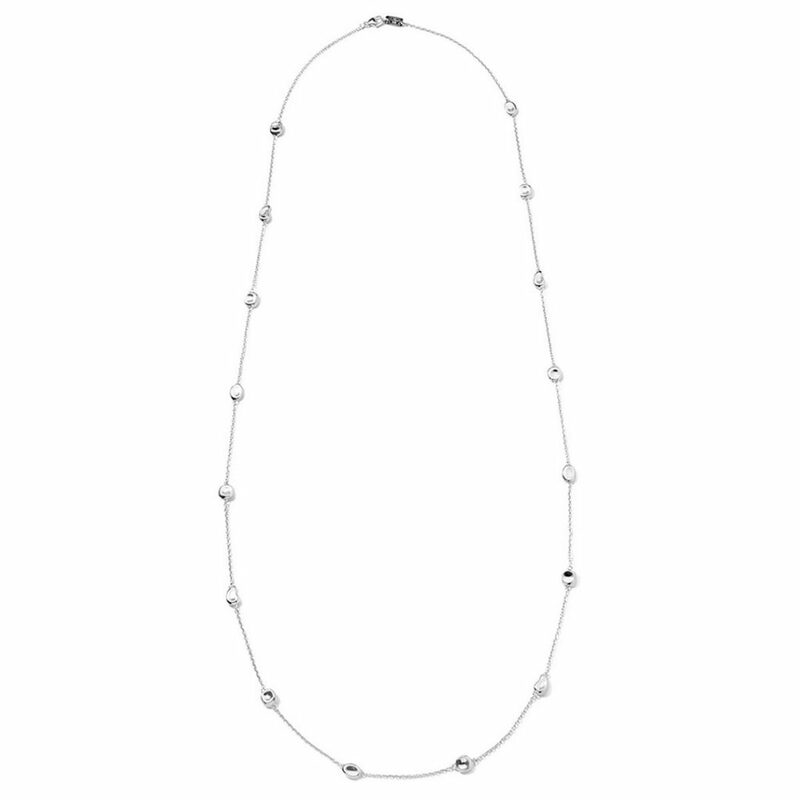 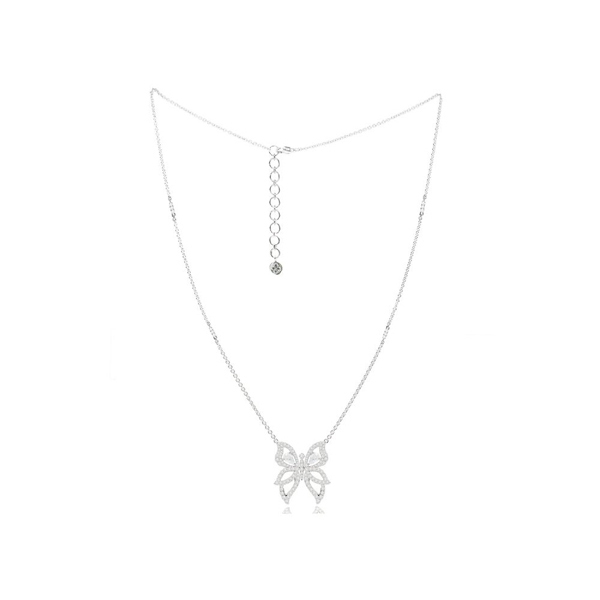 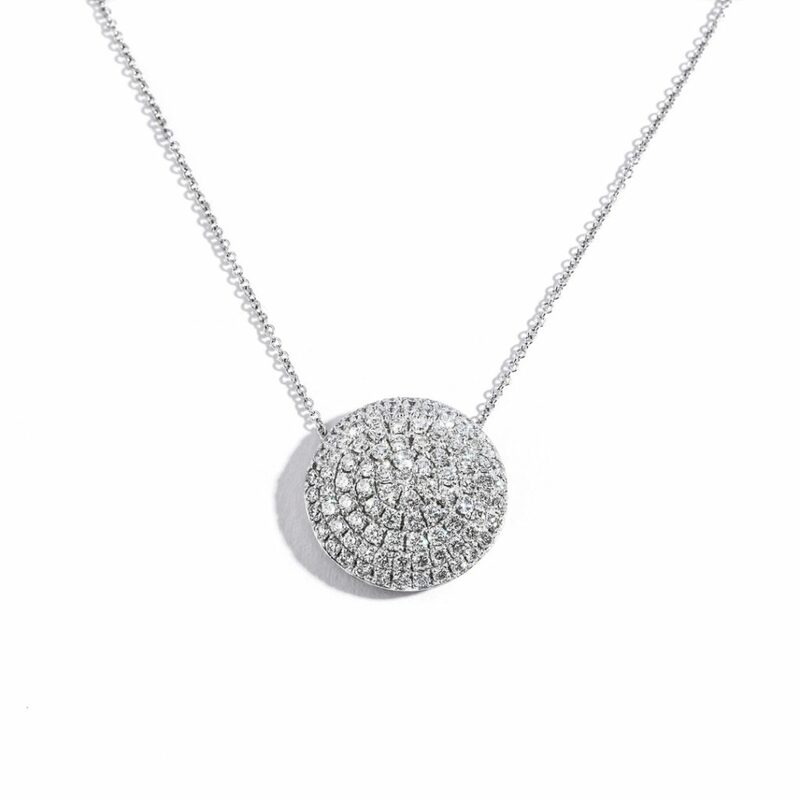 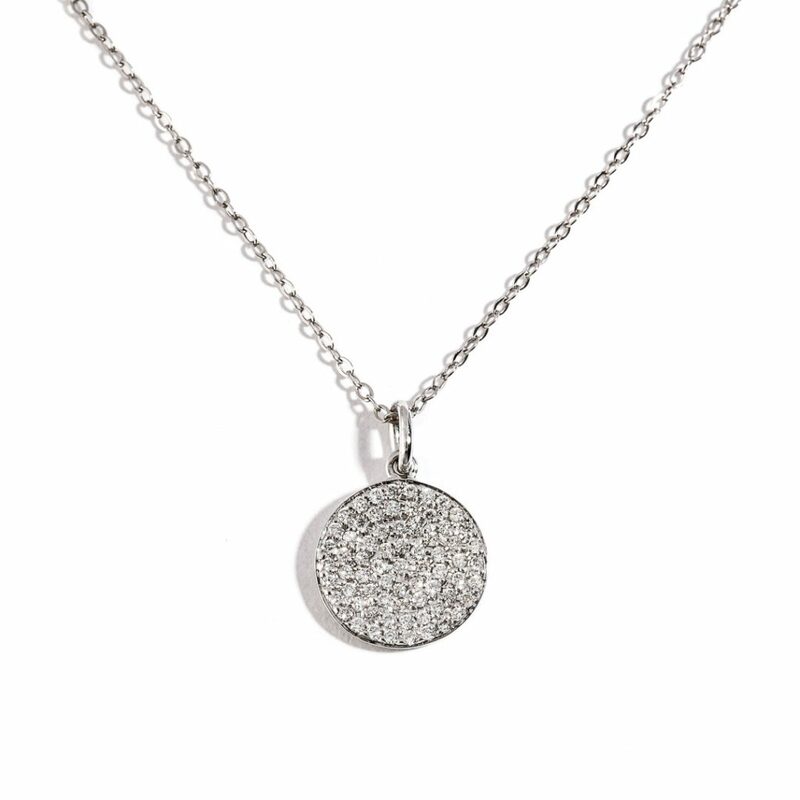 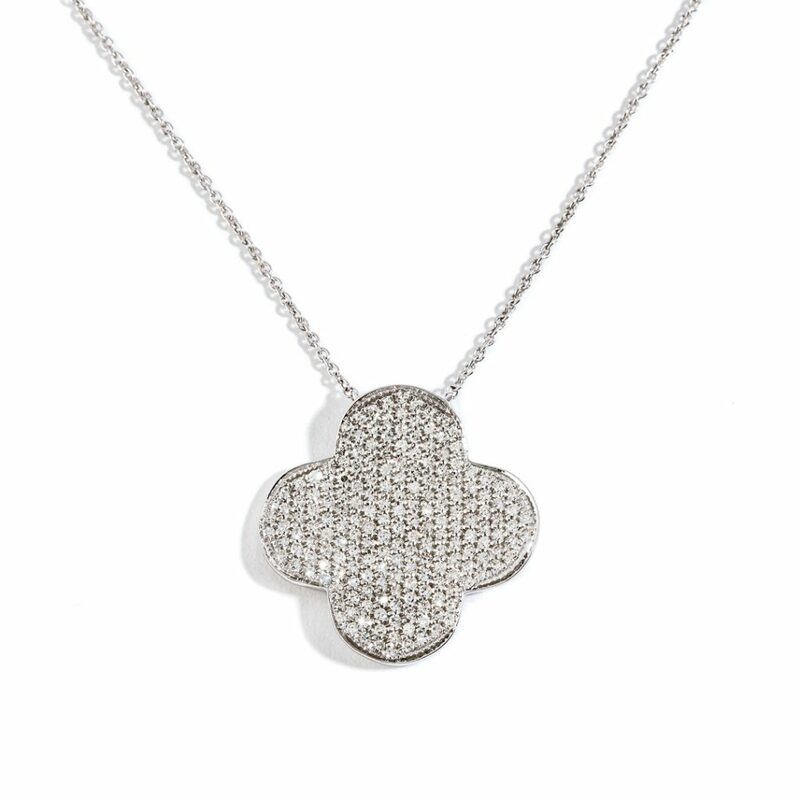 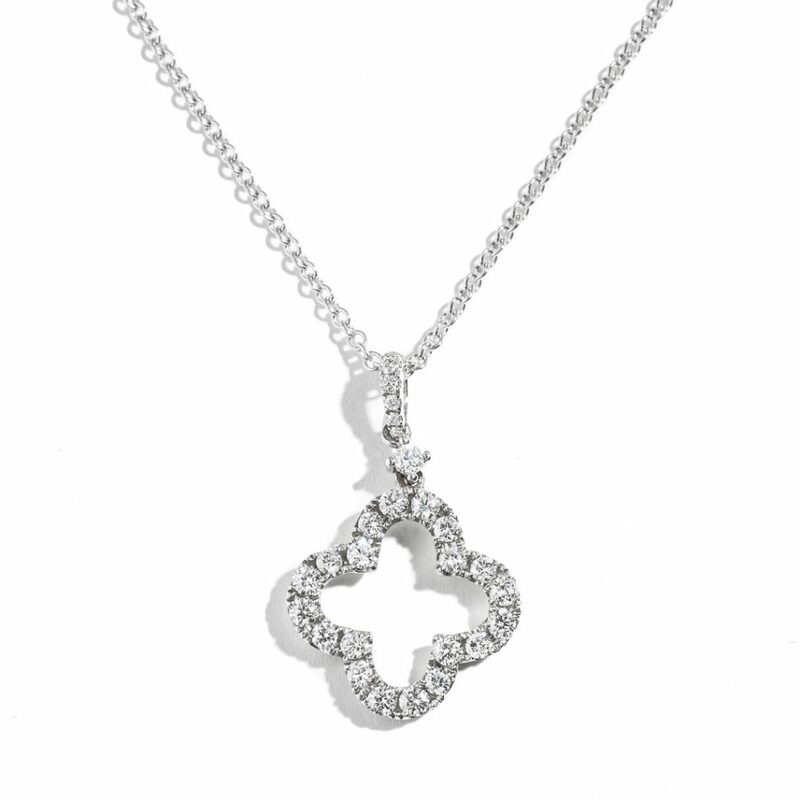 This 18k white gold Sutra necklace is set with diamonds totaling 8.00ct. 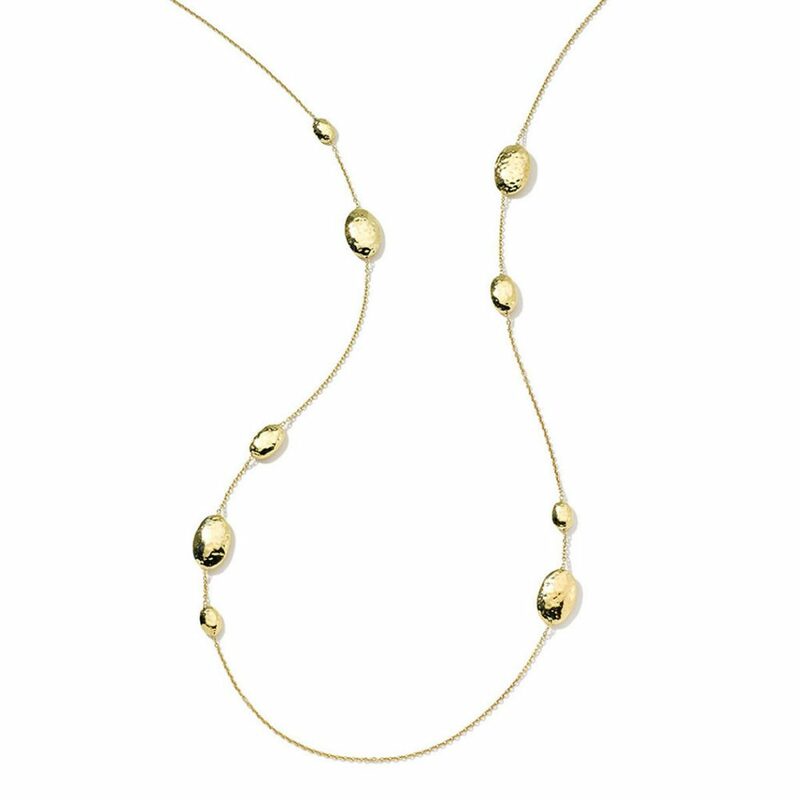 This 18k yellow gold David Yurman necklace is set with a yellow citrine and four sapphires. 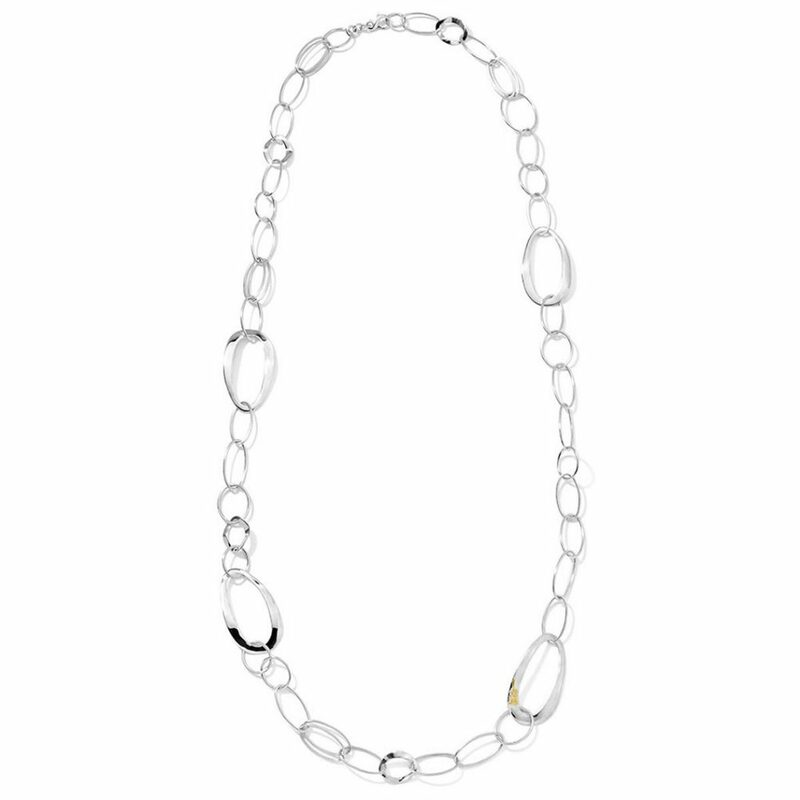 The necklace measures 7mm thick and 37.5cm long.